The UAE is adding a futuristic tower to its skyline. Dubai-based construction firm Cazza Technologies has announced plans to build the world’s first 3D printed skyscraper. “When we first thought of implementing 3D printing technologies, we were mostly thinking of houses and low-rise buildings. Developers kept asking us if it was possible to build a 3D printed skyscraper. This led us to begin researching how we could adapt the technologies for taller structures,” Chris Kelsey, CEO of Cazza, explained to Construction Week Online. The company’s large robotic 3D printers already allow them to construct architecturally complex buildings at unprecedented speeds. All of the essential structural components for tall buildings, including reinforcements with steer rebar, can be 3D printed using this system. For the skyscraper project, the system will simply be merged with existing cranes, which means there’s no need to build specialized cranes from scratch. Any construction elements for the skyscraper that can’t be 3D printed will be completed using traditional construction methods. While Cazza has confirmed that the first 3D printed skyscraper using its novel construction method will be built in Dubai, details such as the building’s height or when the project will begin are still under wraps. 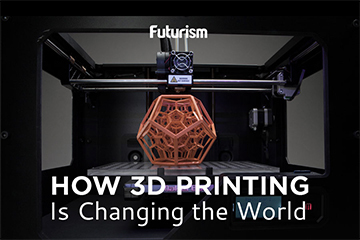 3D printing technology has already established a foothold in numerous fields. It’s particularly prevalent in the medical industry, where it is being used to build organs and human cells, but the tech’s application in housing and construction hasn’t exactly been moving at the same rate. Nevertheless, ambitious 3D projects such as Cazza’s are set to shine a spotlight on the technology’s potential. Once others see this potential for speed and cost efficiency, they will be more likely to adopt the tech themselves. Cazza may be the first company to attempt to 3D print a skyscraper, but others have successfully completed smaller projects, including a tiny guesthouse in Amsterdam and a Suzhou-style Chinese villa in Binzhou. As more projects such as those are undertaken, the technology will become cheaper, further speeding up the pace of adoption. “It is all about economies of scale where the initial high technology costs will reduce as we enter the mass-production phase,” explains Kelsey. Eventually, 3D printed skyscrapers could be the norm.